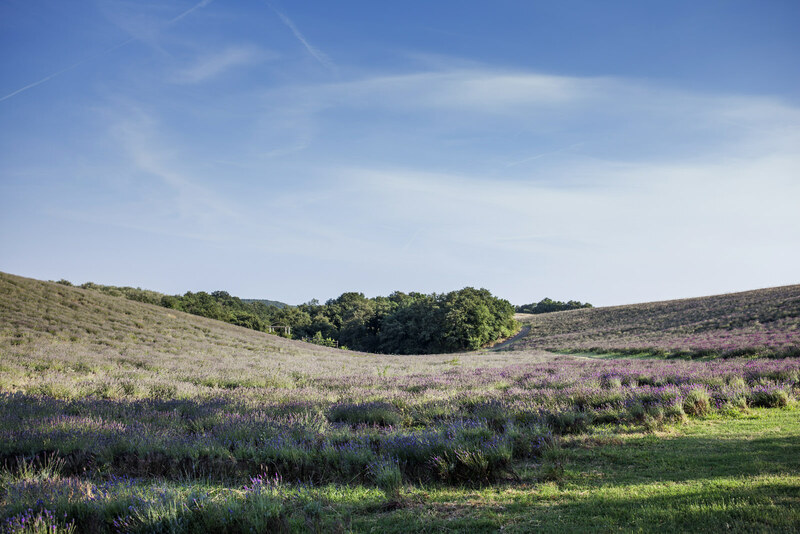 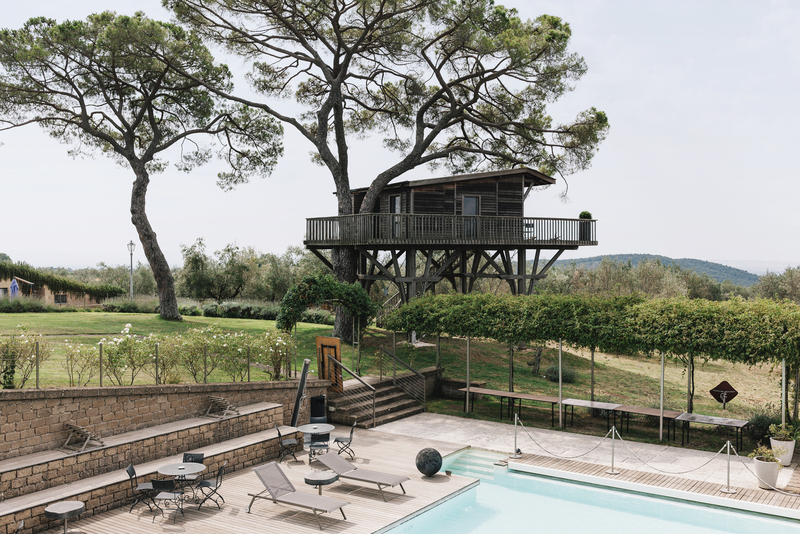 If you are looking for originality and romance, you cannot beat this fantastic rustic country location, called “La Piantata”, near Rome. 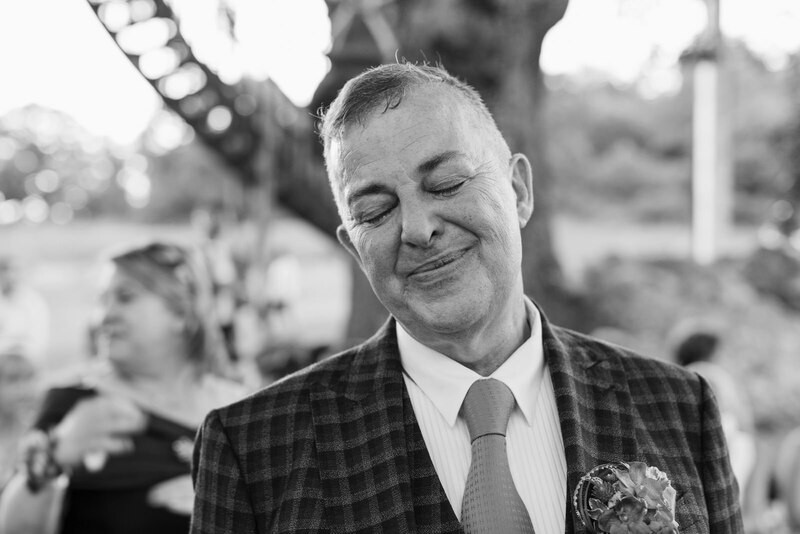 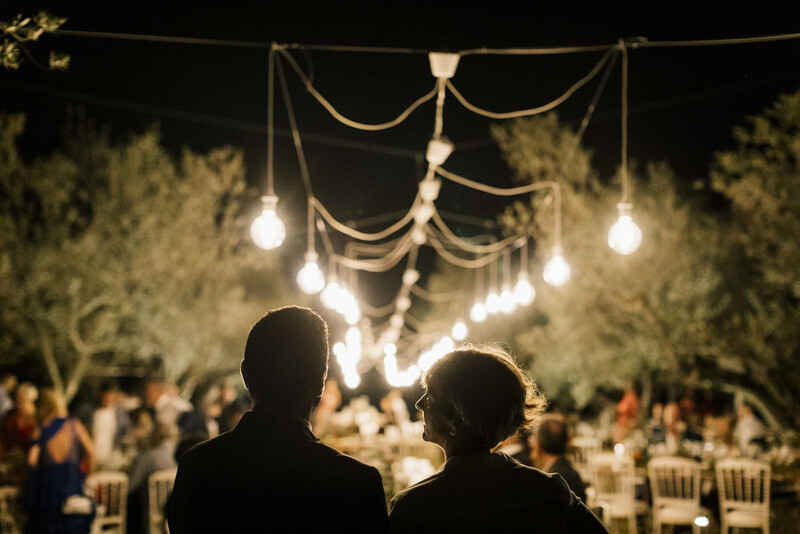 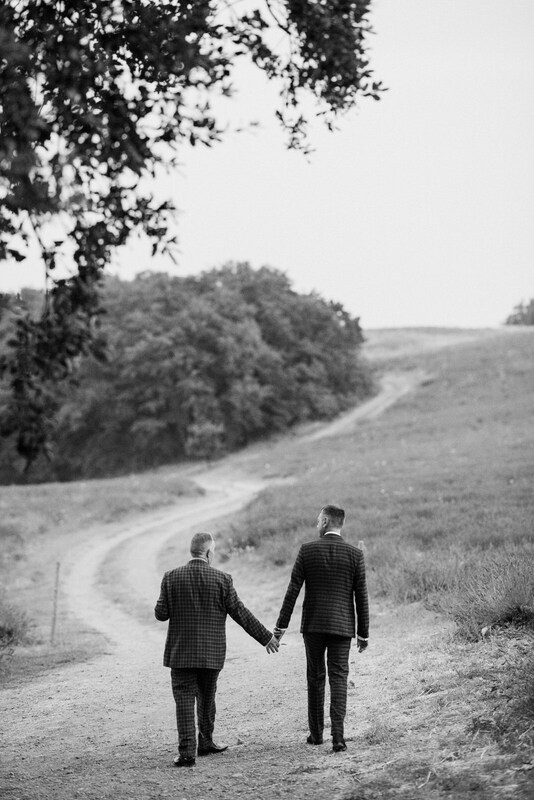 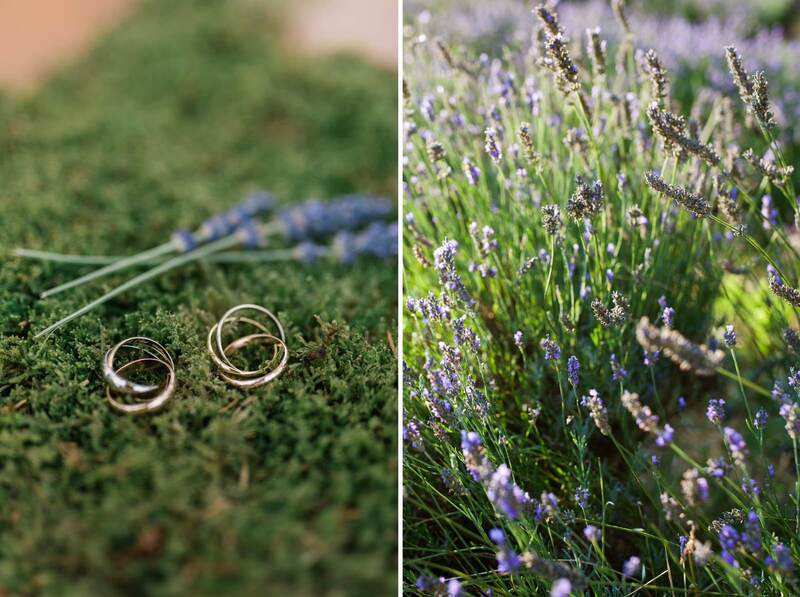 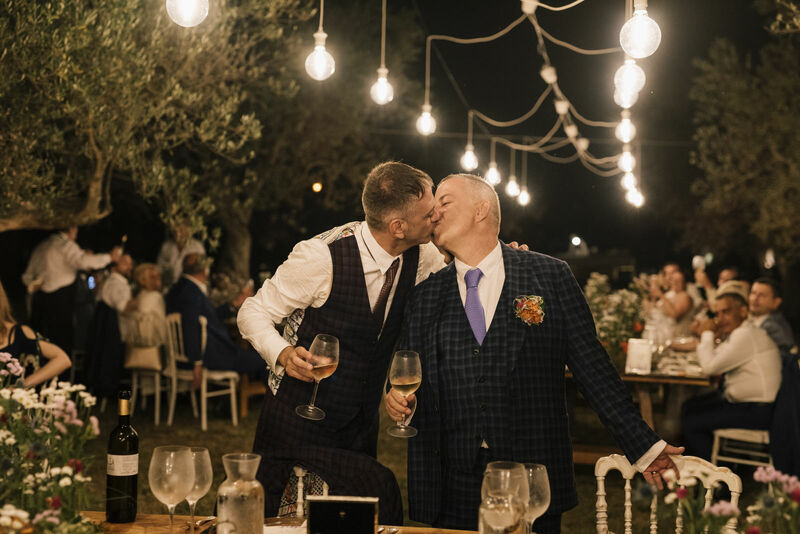 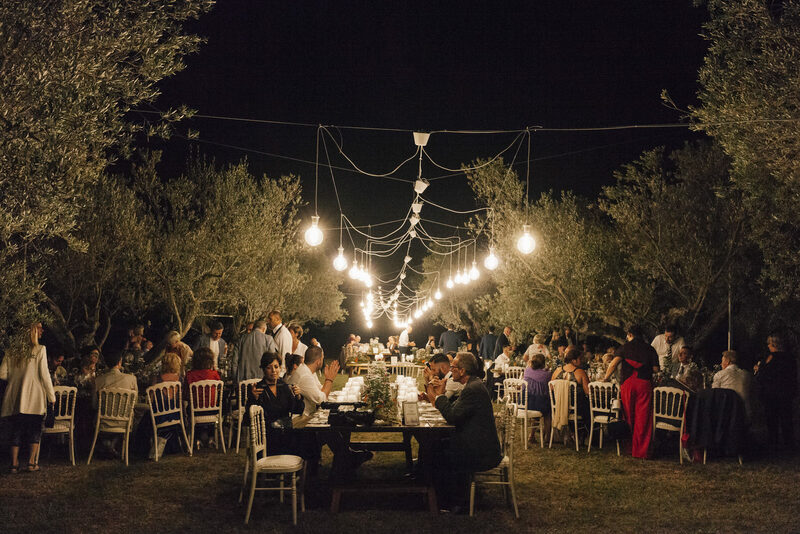 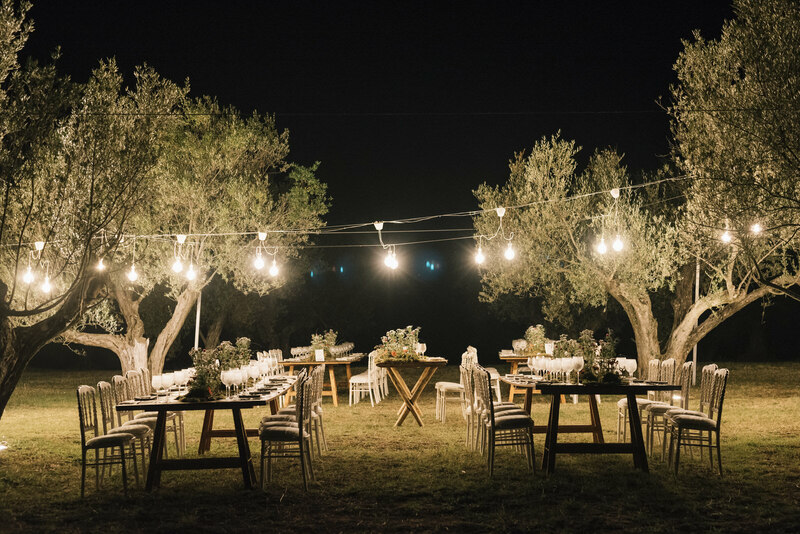 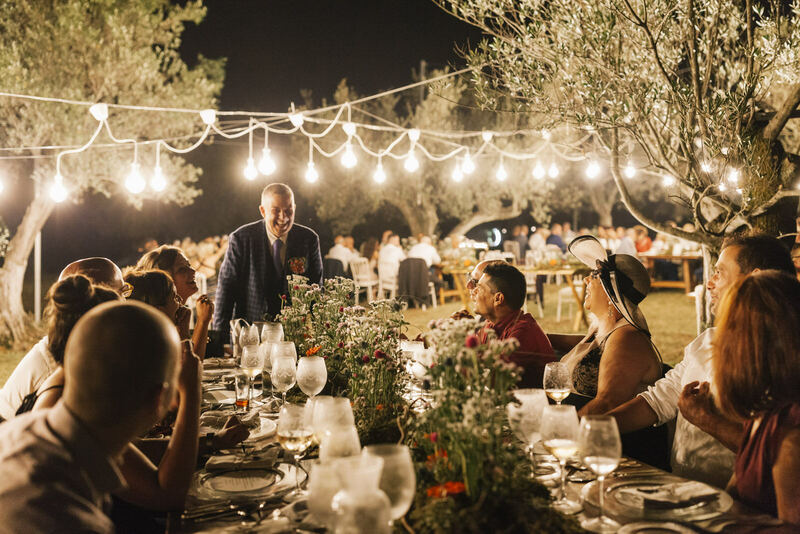 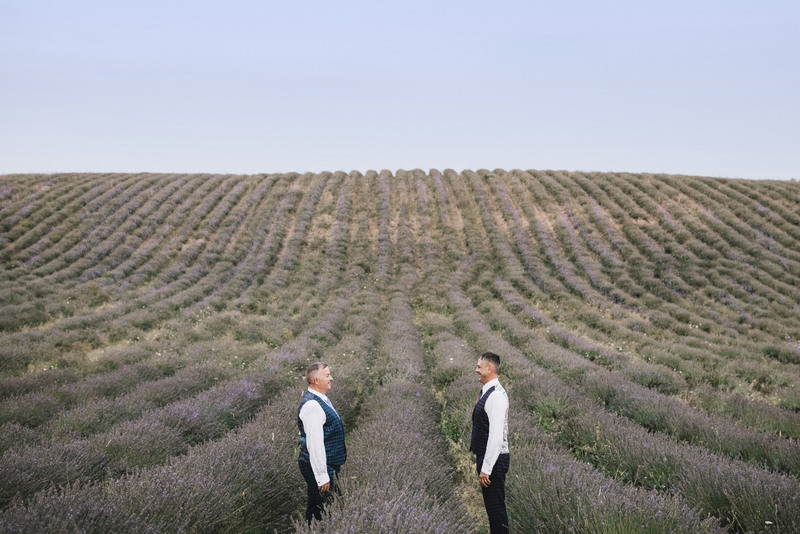 Alessandro and Fabio, very much in love, chose this charming magical spot for their celebration which took place on bales of hay surrounding the biggest oak tree in Europe. 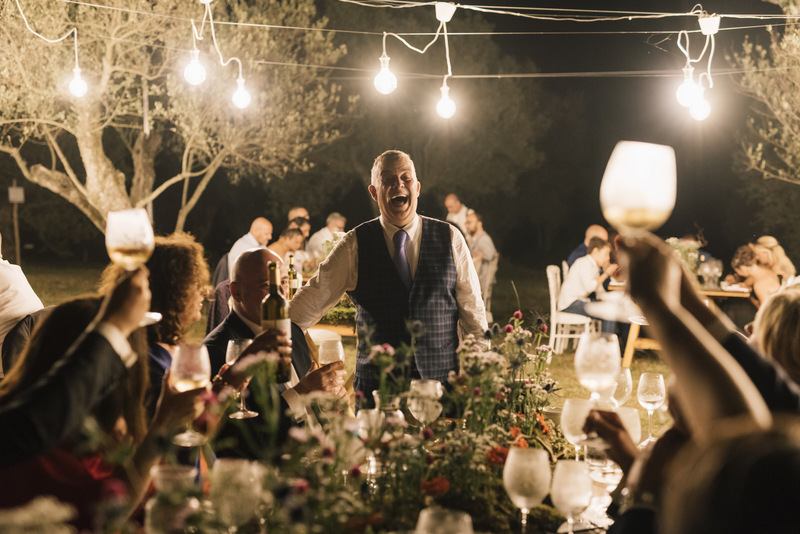 All this they shared with family and friends who were delighted to be a part of this loving ritual. 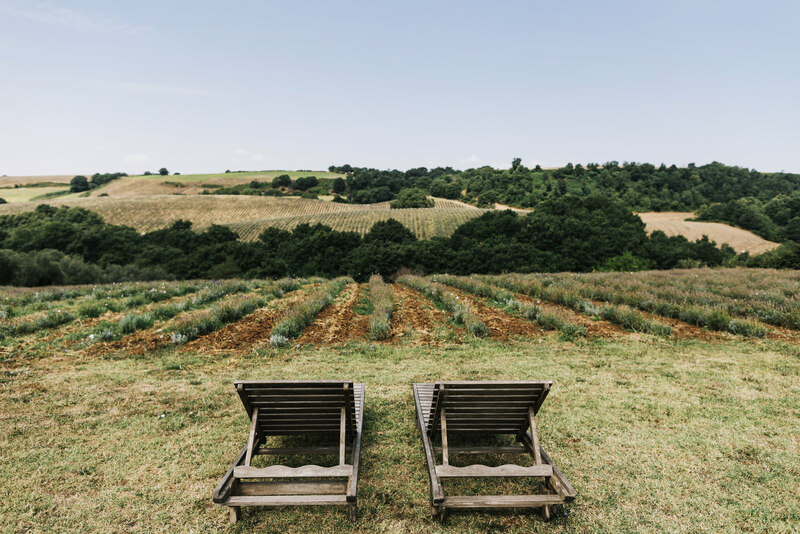 The farmhouse La Piantata is located a few kilometres from Lake Bolsena in enchanting Tuscania, an ancient Etruscan village. 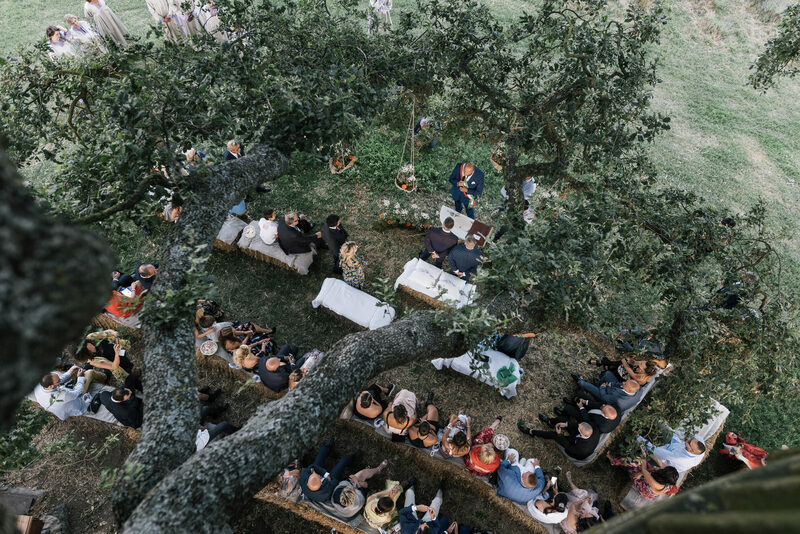 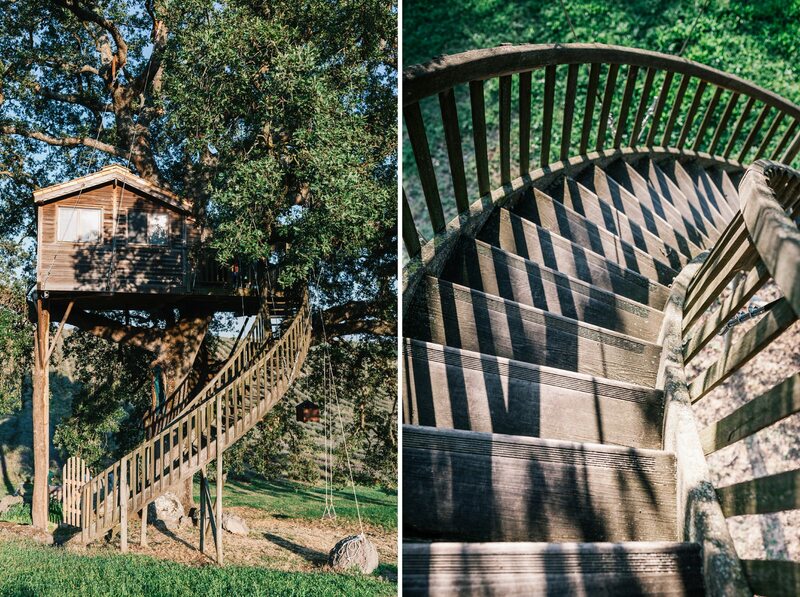 Surrounded by a vast panorama, the eighteenth-century farmhouse once a manor house is protected by majestic oaks that offer cool and the shade on the most of humid days. 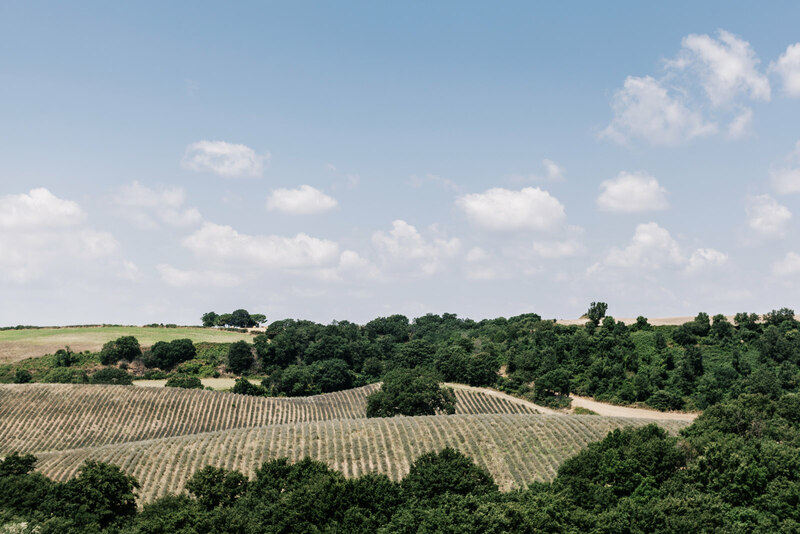 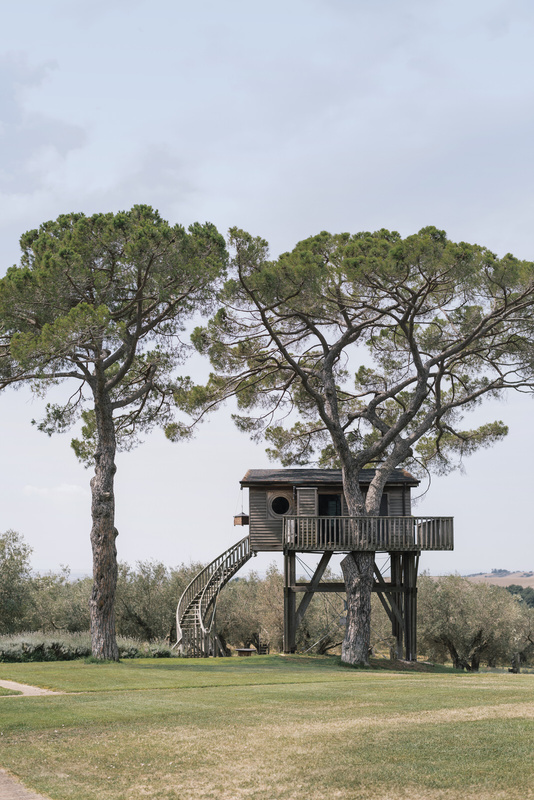 In this place surrounded by greenery, there are several shelters built amongst the trees surrounded by olive groves, lavender fields, the Cimini Mountains and, in the background, the sea of Tarquinia. 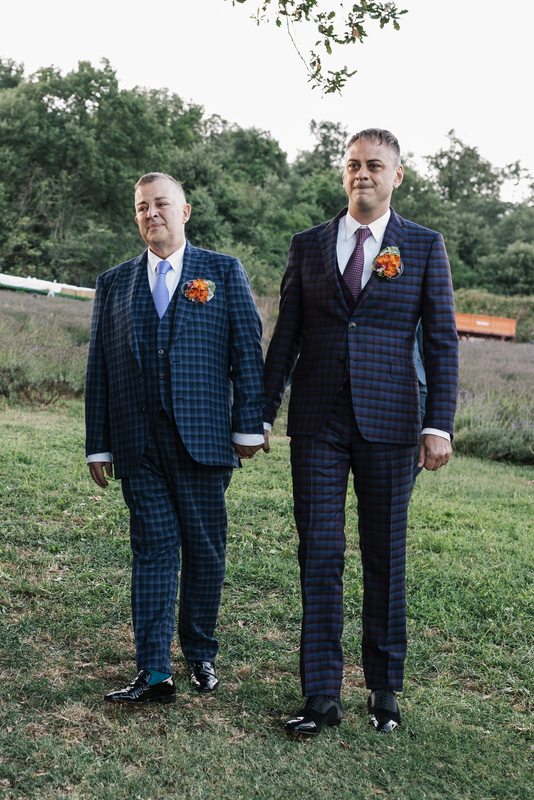 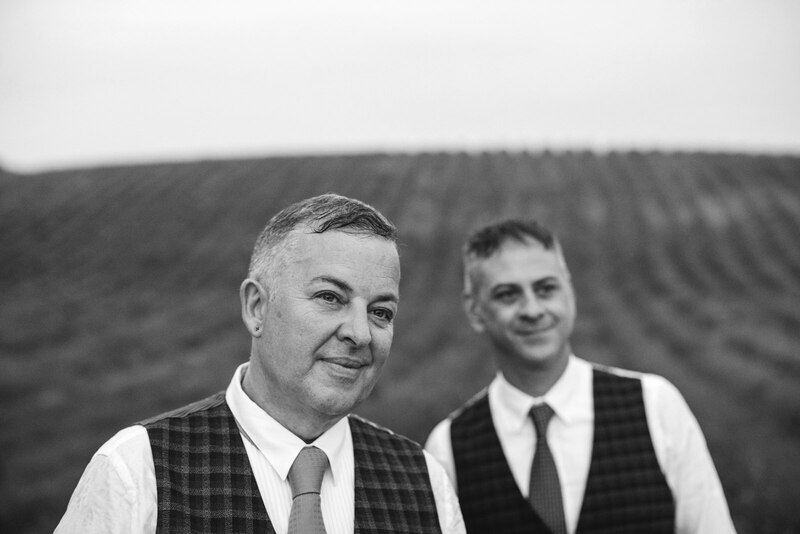 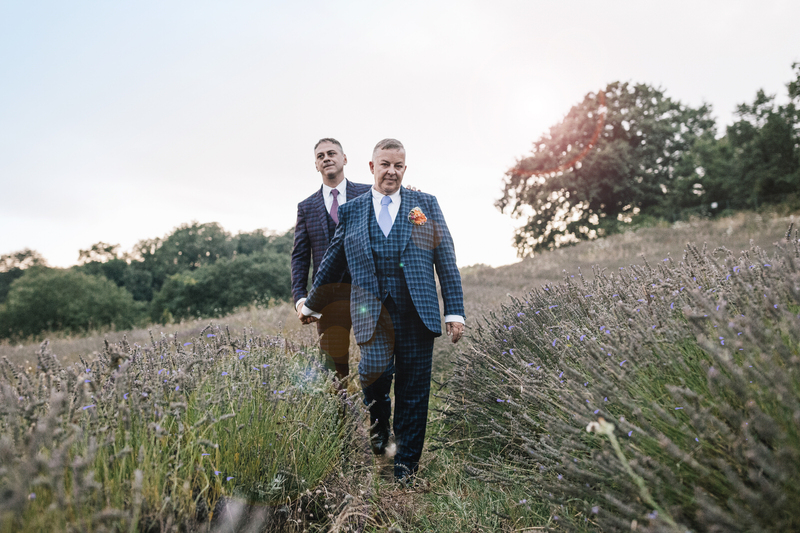 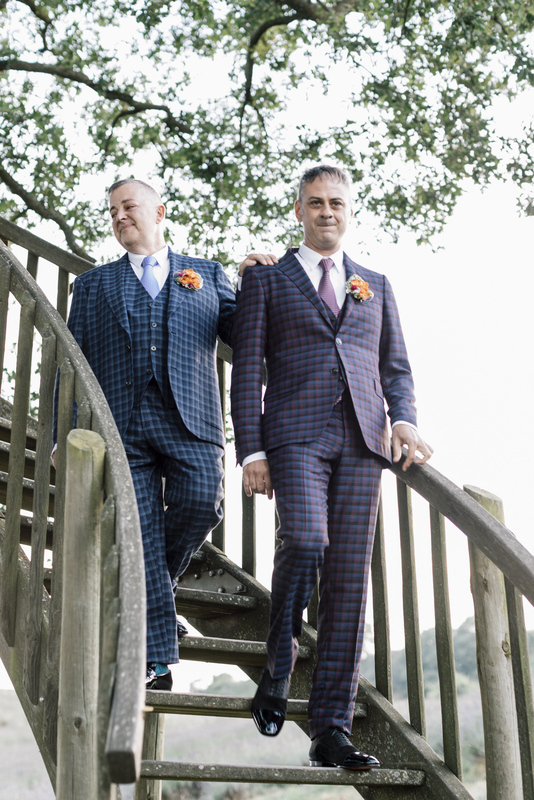 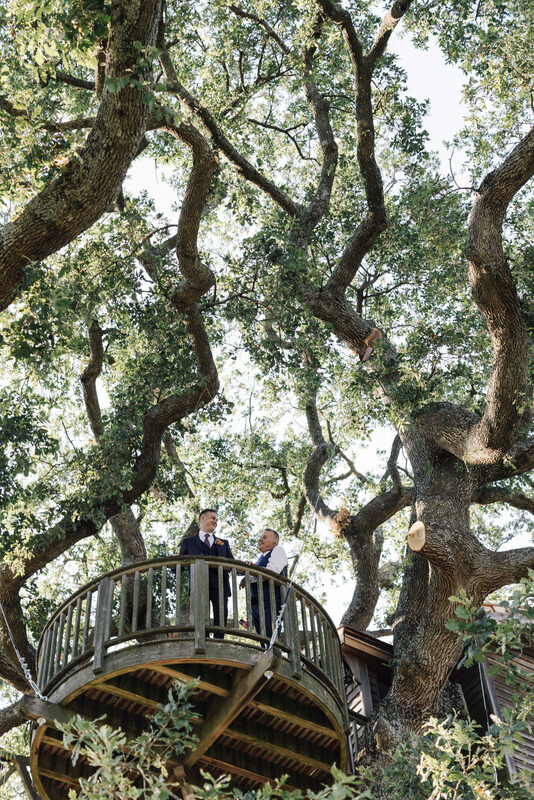 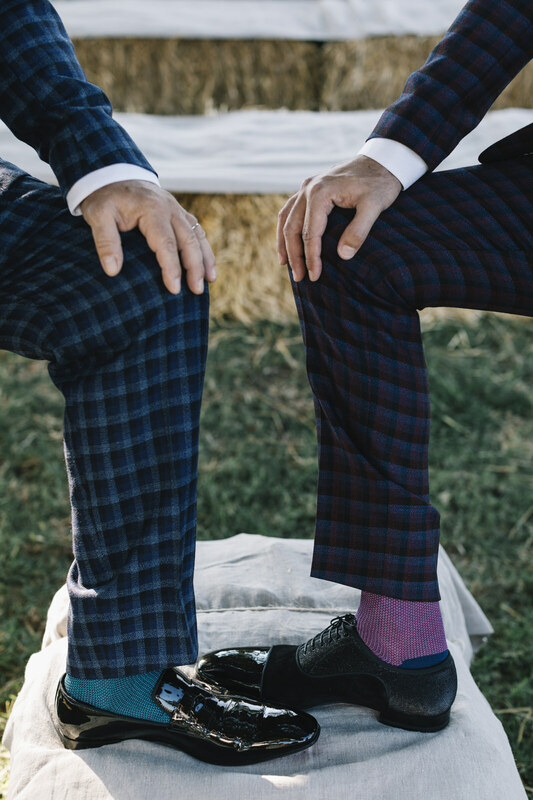 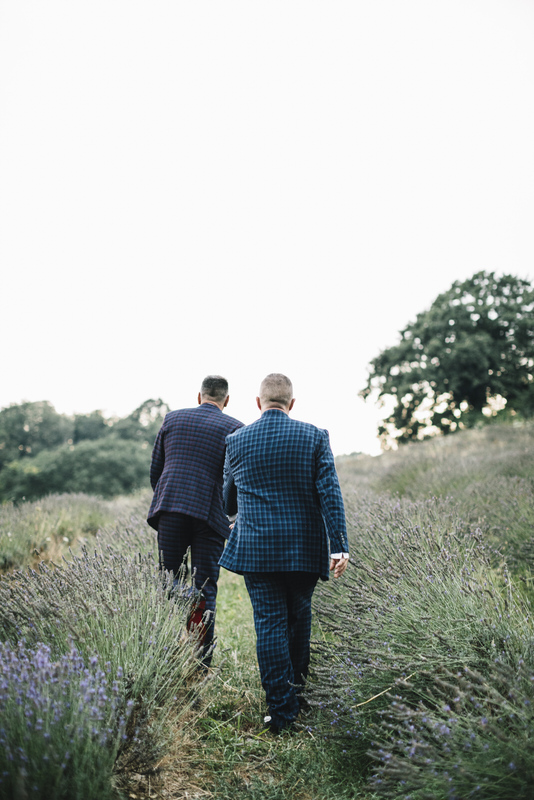 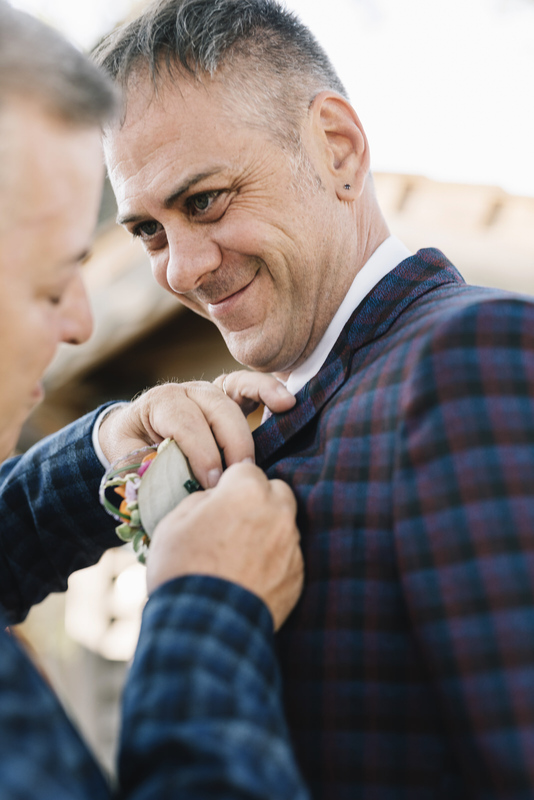 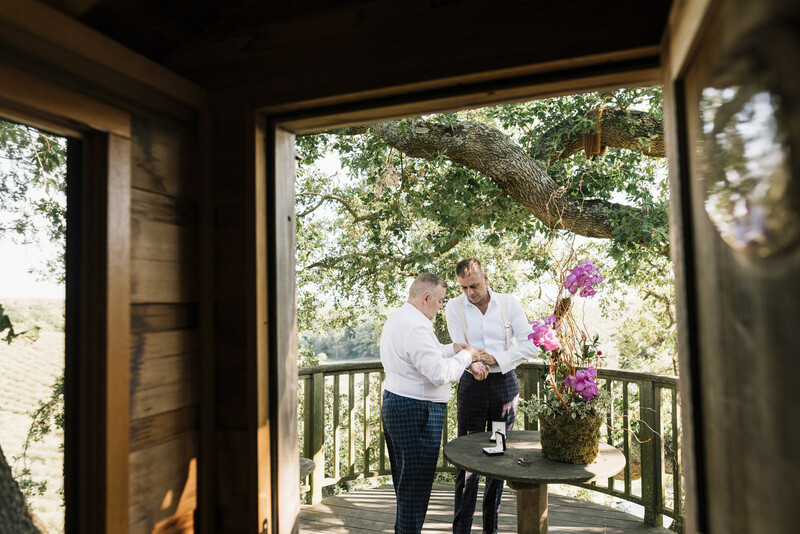 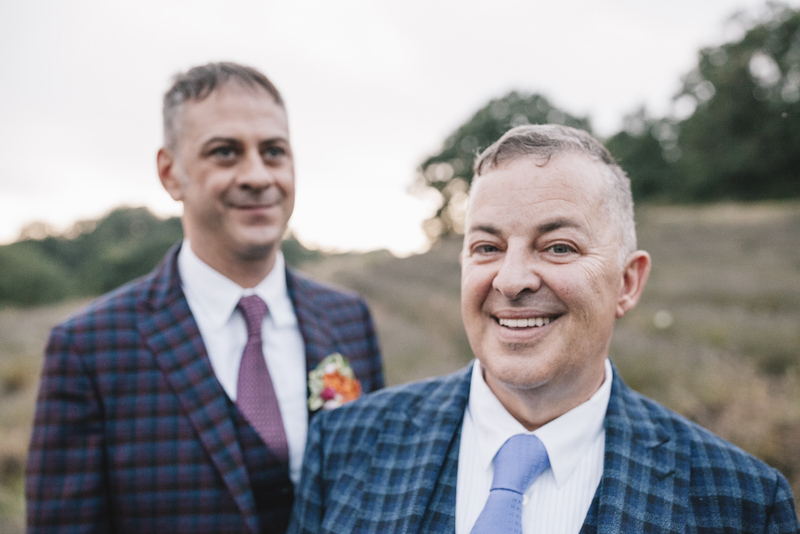 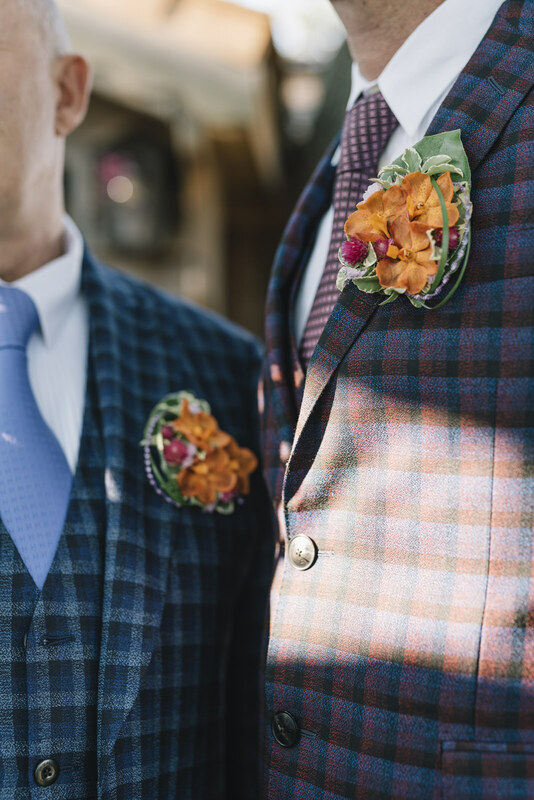 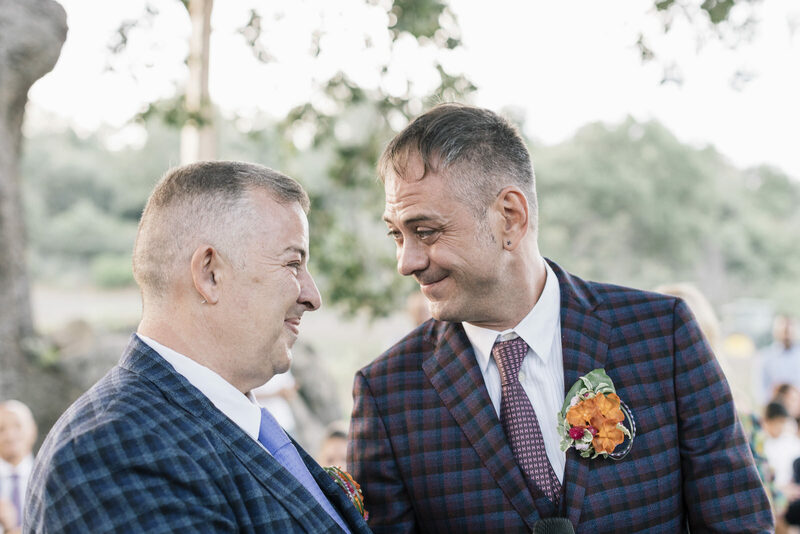 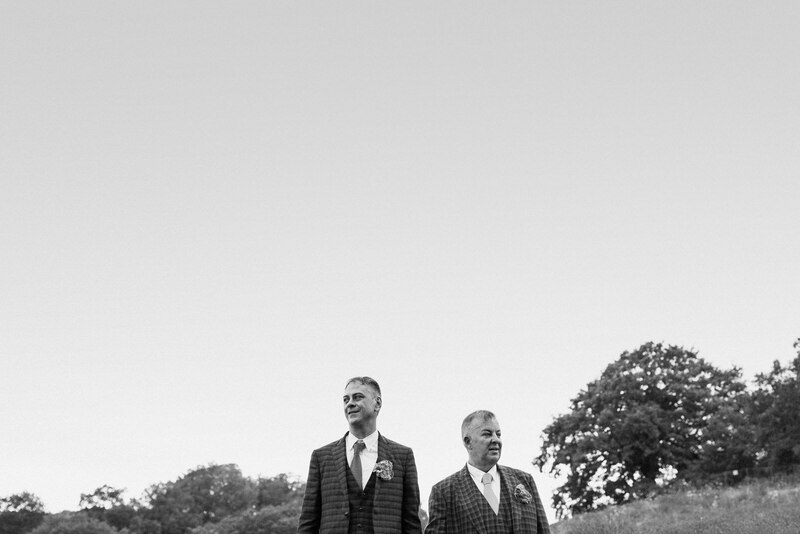 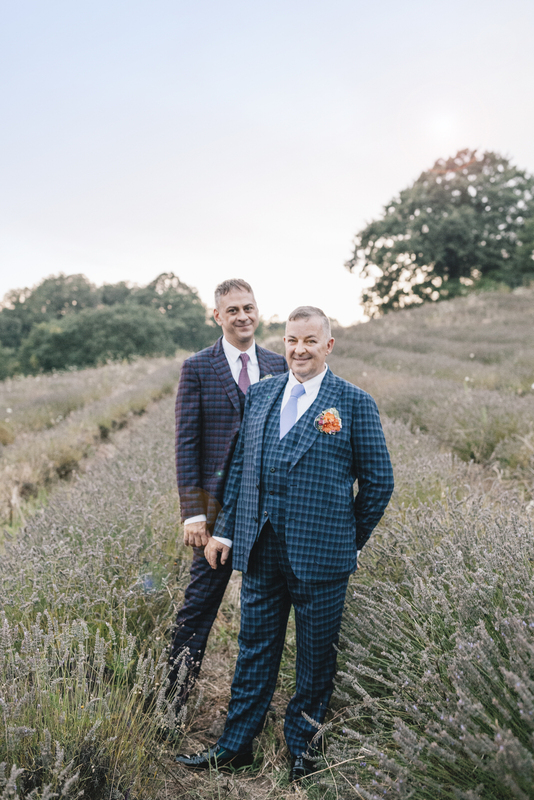 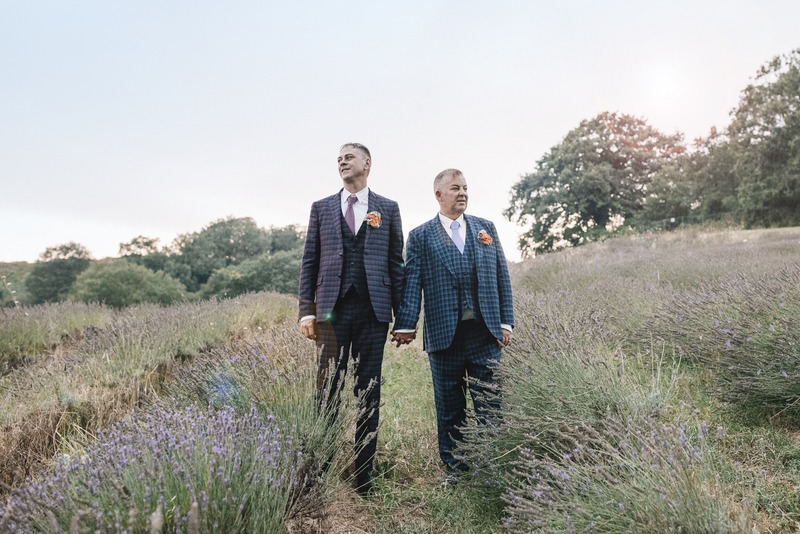 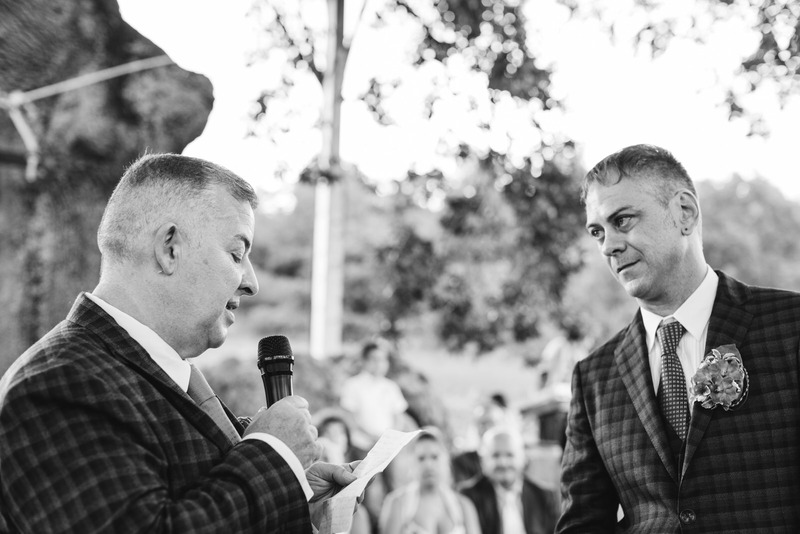 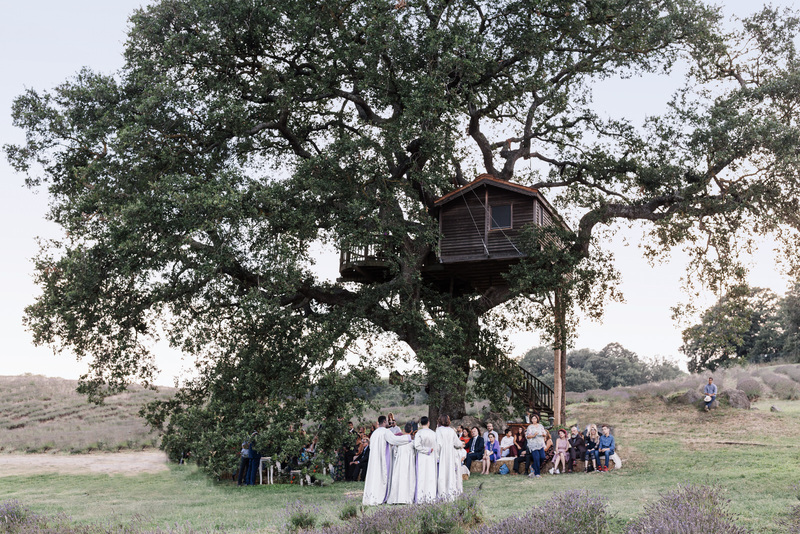 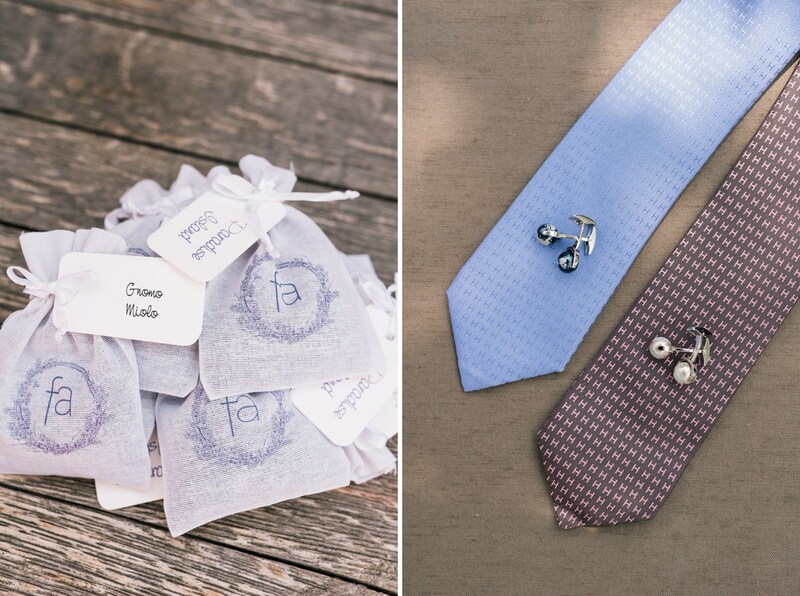 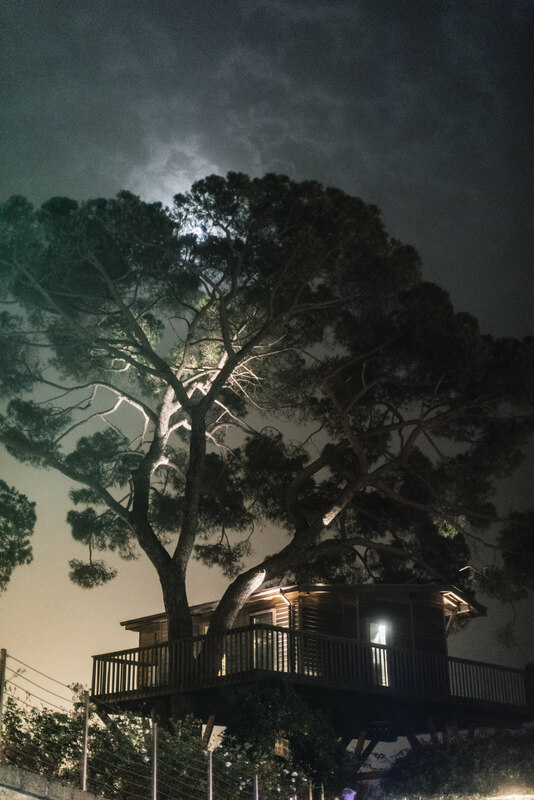 In a suite 8 metres above the ground, between the fronds of an old oak tree, Alessandro and Fabio prepared together, before joining the rest of the guests for the ceremony. 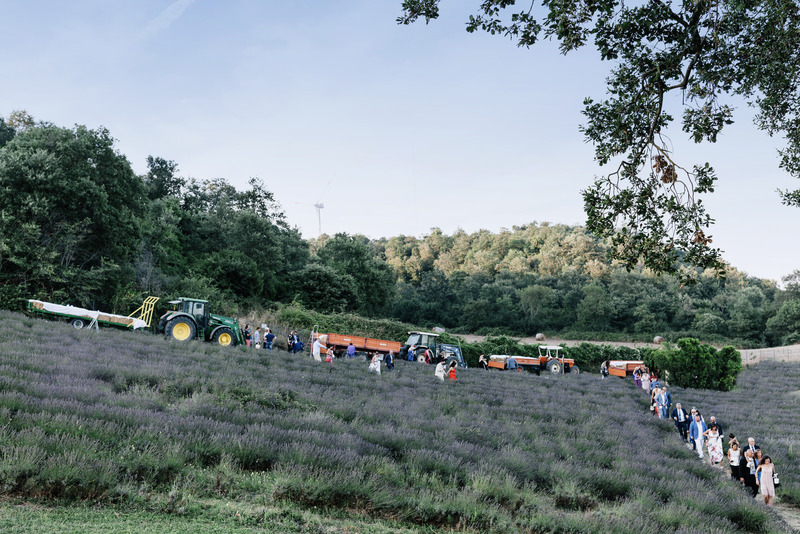 In the afternoon, guided by the tractors provided by the estate, the guests found themselves in the shade of the ancient oak tree. 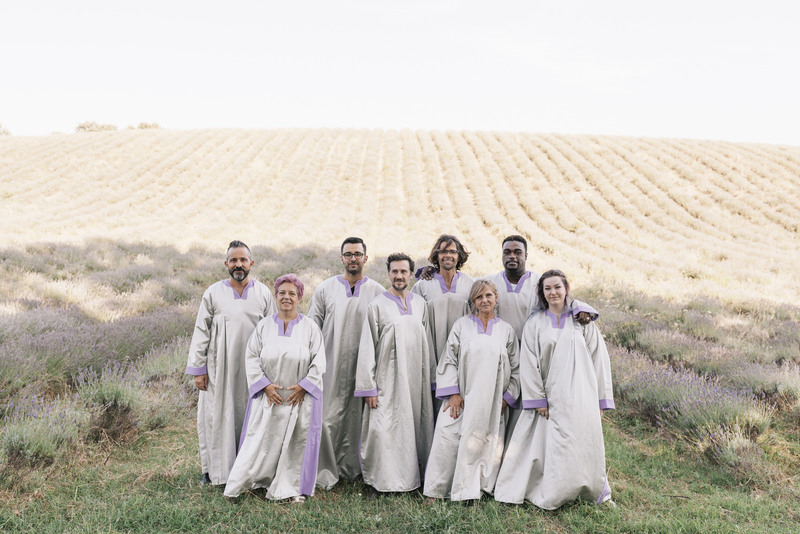 Here they were greeted by the lively notes of the gospel choir that accompanied them to take their place on the bales of hay arranged in a circle. 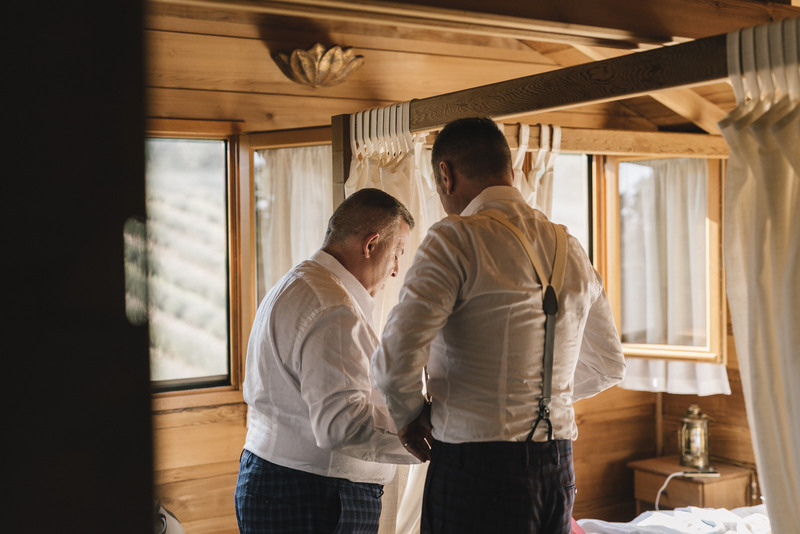 It was then the time of Alessandro and Fabio who, walking down the spiral staircase, hand in hand, reached the symbolic altar where the Mayor was waiting for them to start the ceremony. 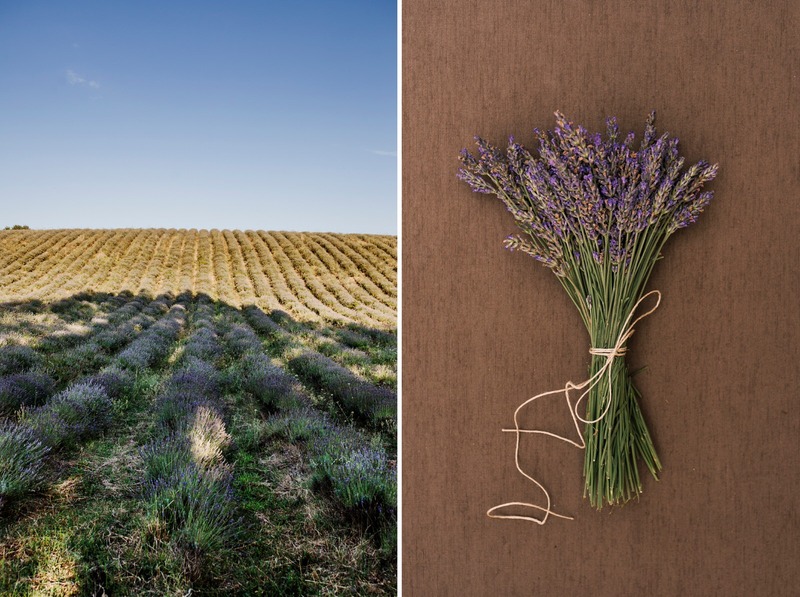 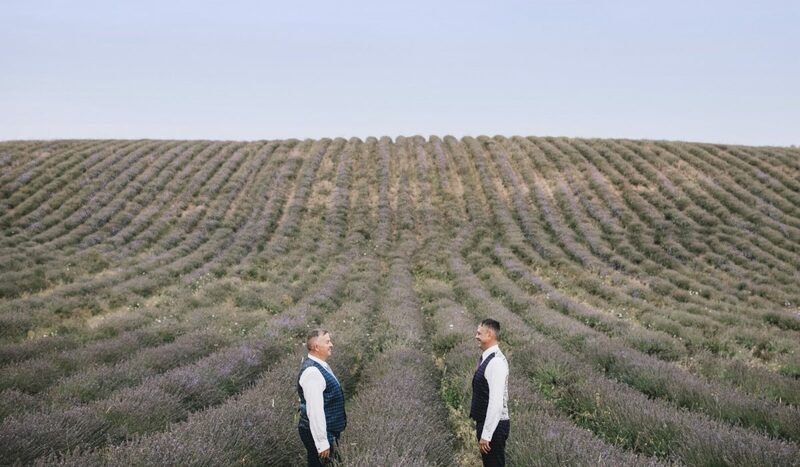 The profoundly emotive ceremony ended and while the guests reached the area used for cocktails, we were able to spend a few minutes with Alessandro and Fabio for a short photo session in the lavender fields. 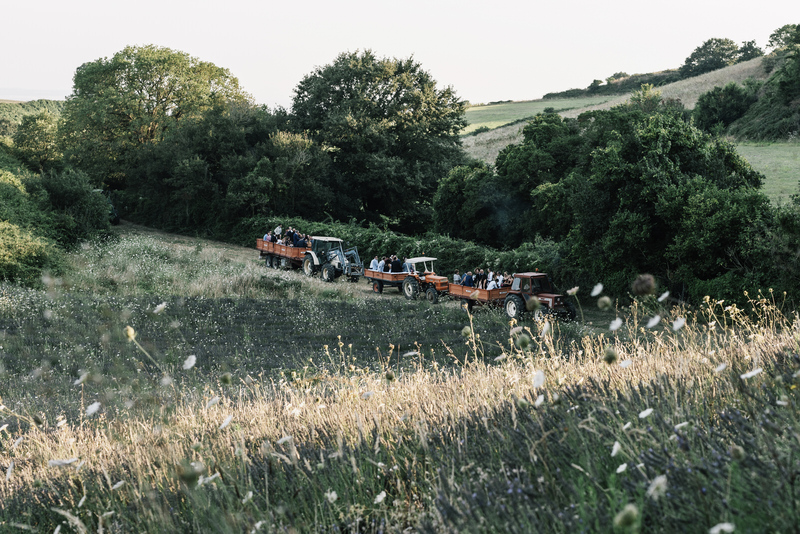 Then on board the tractor decked out for the wedding, they rejoined their guests. 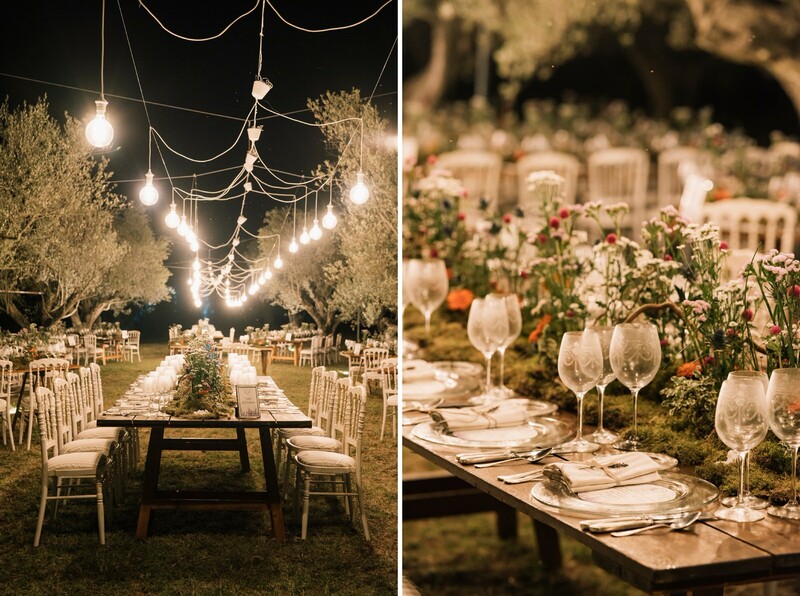 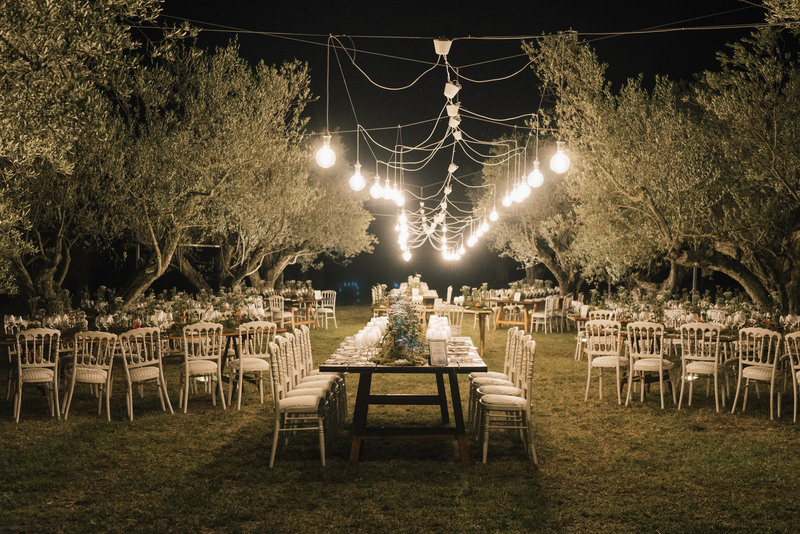 In the adjoining space of the main villa, the tables for dinner were set up, with Italian hanging light bulbs and enchanting floral arrangements. 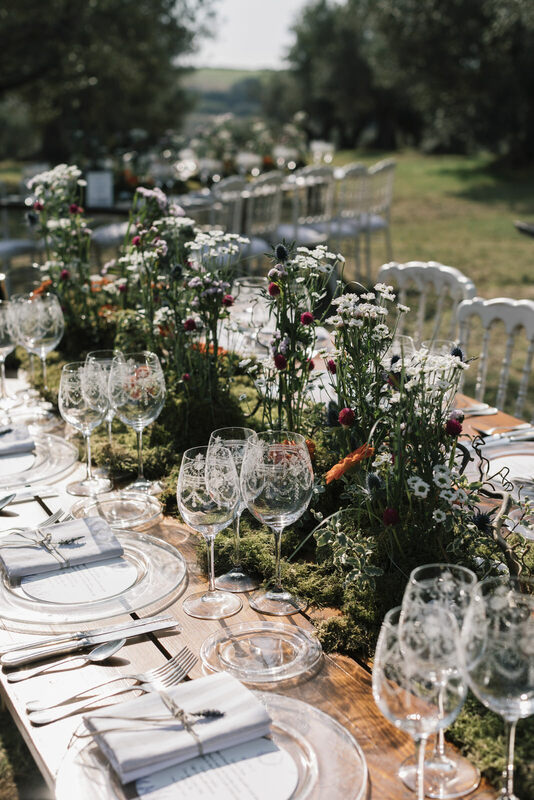 Making a strong link with the land and nature- the mother of all things, moss cords climbed up the length of the tables. 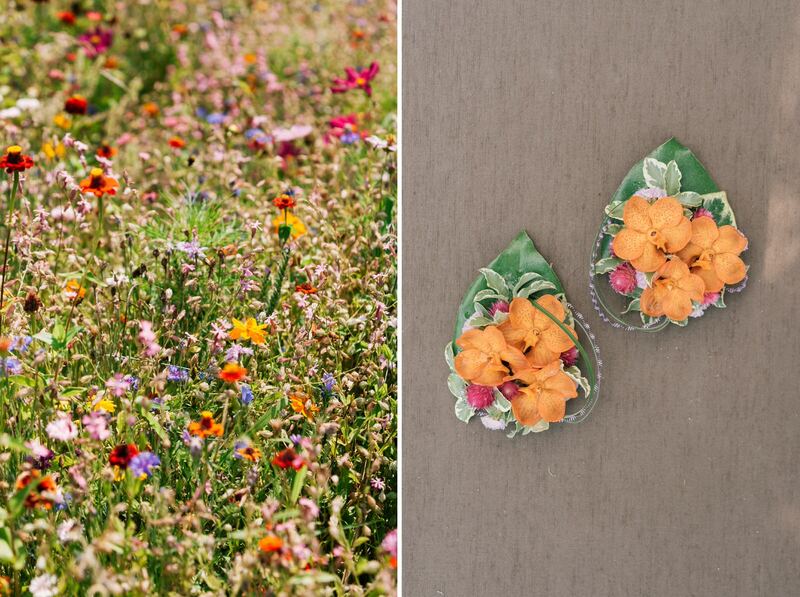 The green of the moss was interrupted by the vivacious red, yellow and orange flowers. 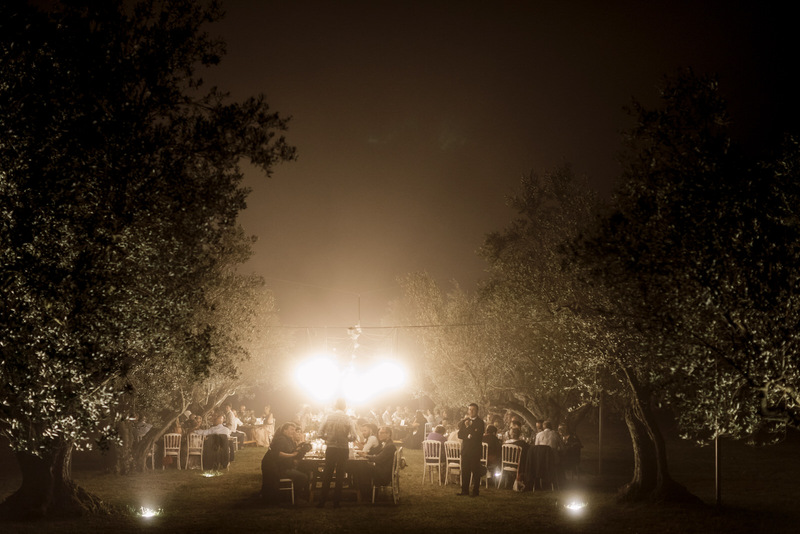 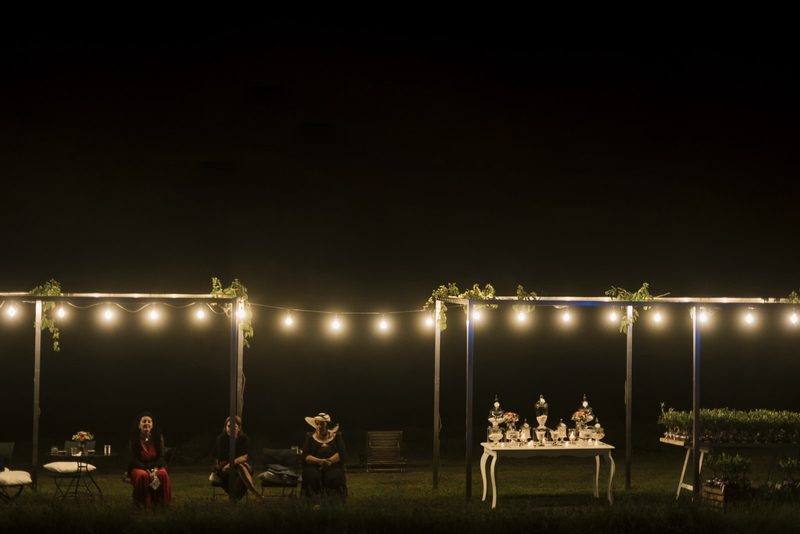 At the beginning of the dinner, the balmy air enveloped the scene in an atmospheric haze that generated an almost surreal, magical and unforgettable tableau. 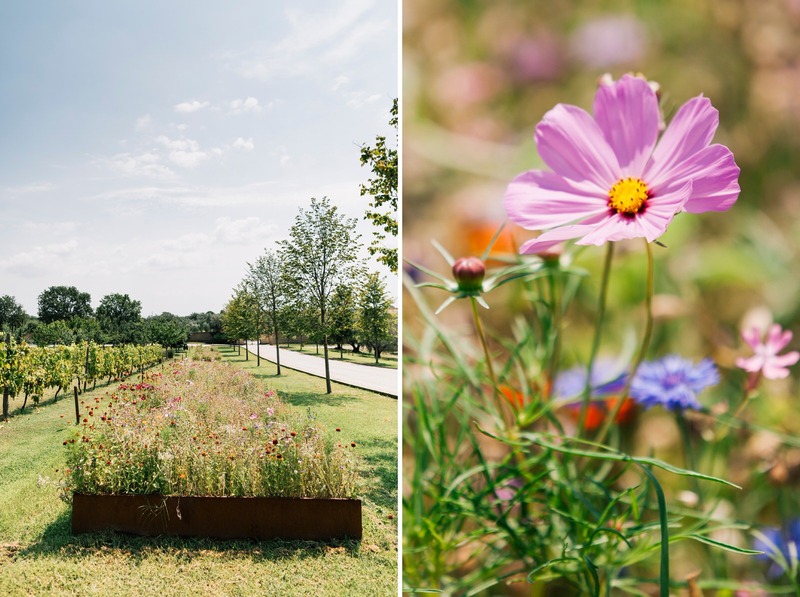 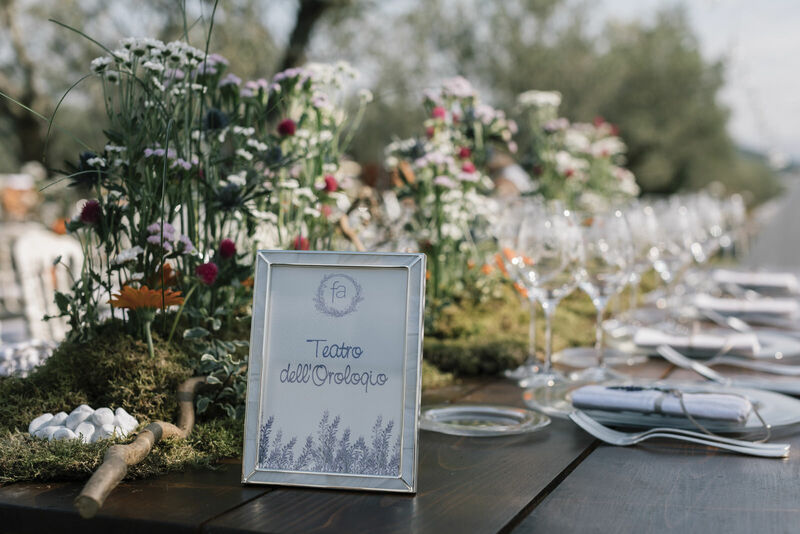 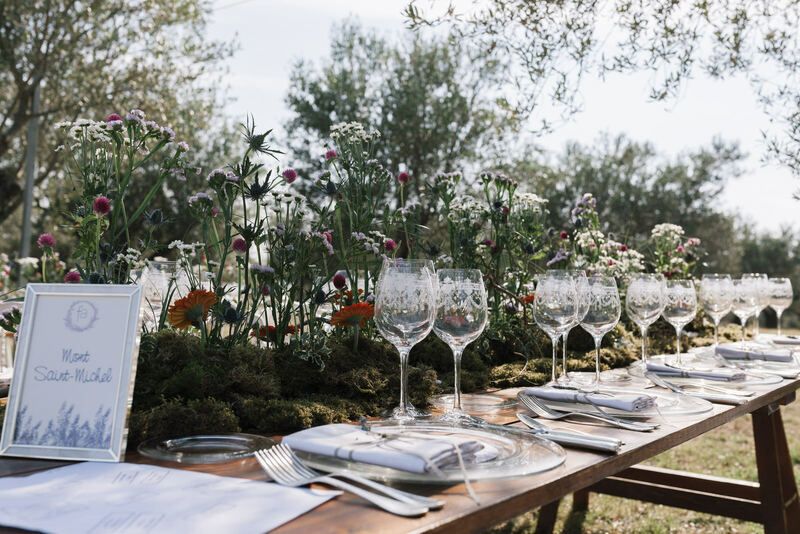 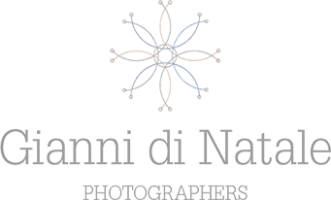 The entire event was coordinated by the experienced Roberta Torresan, who together with her team accompanied Alessandro and Fabio through the most beautiful day of their lives.